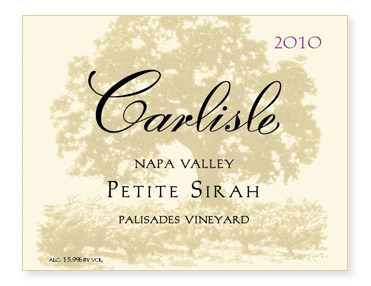 Despite the challenges presented by the weather in 2010, the Palisades Vineyard excelled in this vintage, producing a wine at least equal in quality to any previous vintage. Picked on October 12th, the must was cold-soaked for 5 days before fermentation began. After 30 days on the skins, the wine was pressed to all French oak, 50% new. Bottled unfined and unfiltered.